These Lubricants are useful under normal operating conditions for 8000 hours in rotary screw units, 4000 hours in rotary vanes and 8000 hours in reciprocating crankcases. Please contact us for scheduled change intervals on high pressure units. These lubricants have extensive data showing energy reductions on compressor drive units averaging 6.7% on reciprocating compressors and 8.3% on rotary screws. 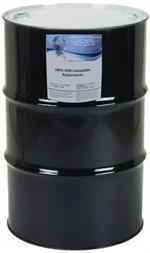 The diester oils are compatible with most currently used compressor components including seals, paints and plastics. However, some materials are not recommended for use with diester oils. Synthetic Hydrocarbon Oils (PAO): PAO oils are formulated from 100% synthetic base stocks for superior performance. Scheduled changed may be extended to 8000 hours. 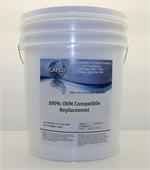 PAG Replacements: This is the replacement for the original polyglycol (PAG)/diester blends developed to replace Sullube® 32 and I/R Ultracoolant® respectively. 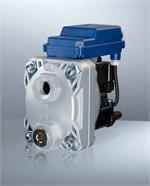 In use for over fifteen years, these coolants work very well with an 8000 hour life in good operating conditions. Applications of high humidity, heat, or other adverse conditions may result in shorter life. 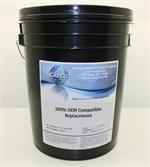 Silicone Compressor Oil: This is a super premium synthetic silicone compressor fluid designed to replace OEM silicone fluids in rotary screw compressors. This product is specially formulated with silicone base fluid and appropriate additives to perform over an extremely long period of time. It is fortified against rust, corrosion, oxidation and wear. 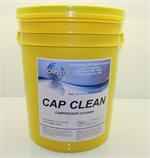 Flush Cleaner: is a highly detergent diester specially formulated as a rotary screw cleaner and system flush. It is safe for use up to 500 hours in these applications, and is soluble in petroleum, PAO, PAG and ester-based lubricants and coolants. It is most effective when used at full strength. It may be considered biodegradable, but should be disposed of in accordance with all regulations. Synthetic Compressor Oils: These are blends of synthetic and premium petroleum base fluids designed for use in rotary screw and vane air compressors. The unique additive systems and synthetic components in these products make them greatly superior to petroleum products. Petroleum Lubricants: Our petroleum has a high performance, multifunctional range of lubricants designed for use in many industrial applications. These are considered environmentally friendly since they arezinc free. 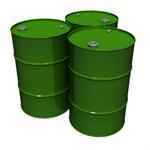 We offers these premium petroleum oils as an answer to low cost petroleum oil where OEM specifications are critical. They are also useful where frequent change outs are necessary due to poor environments prone to contamination from dust, acids, solvents, gases or other contaminants. Polyolester Compressor Oils(POE): Are designed for 10,000 hours of use in rotary vane and screw compressors. 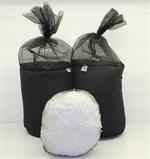 These products are greater than 90% biodegradable as measured by CEC L33 biodegradability test. New additive technology assures long lasting protection for 10,000 hours. CAPCO lubricants come from the leading manufacturer of air compressor lubricants for over 40 years. Research, development and rigorous field testing over time has resulted in a line of premium synthetic lubricants that are well known for their quality. As new equipment requirements and challenges arise, more stresses are placed on the lubricant. They strive to study these changes and adapt their formulations accordingly to deliver optimal performance from their fluids. CAPCO products contain proprietary formulas, providing an exclusive product offering to the customer, designed and built to outperform any competitive fluid found in the marketplace today. Service and quality are a must in this industry, and CAPCO has a proven brand you can trust to deliver on both counts. Protect your expensive equipment purchases by utilizing a true premium synthetic lubricant. Do not expect a cheaper/less expensive lubricant to provide the same results.